Clean the mushrooms thoroughly. Do not soak the mushrooms in water. You may need to use a brush or damp cloth to clean the mushrooms. In a saucepan, heat the oil over medium heat. Add the mushrooms and cook until golden (about 6 - 7 minutes). Add the garlic and 1 tablespoon of parsley. Stir well and cook for about a minute. Add the wine and continue cooking over medium heat until the wine has evaporated. Remove from heat and season with salt and pepper. Prepare the risotto according to package directions. 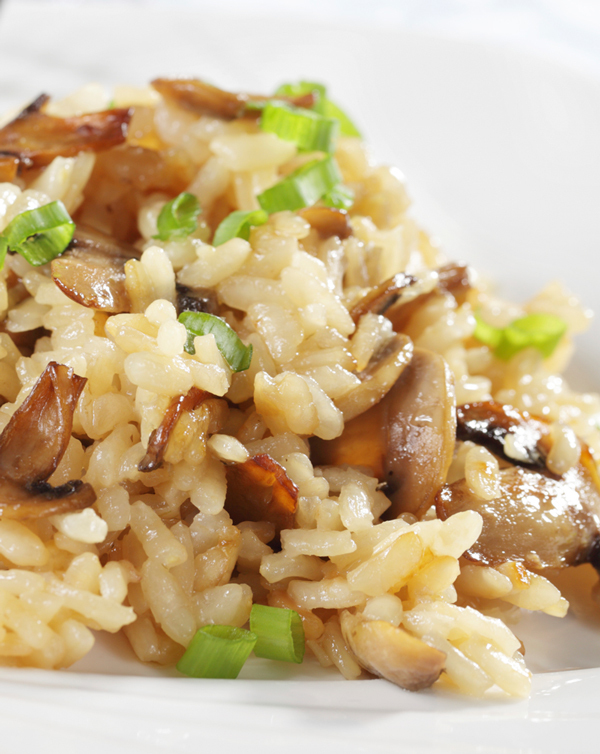 When the risotto is almost done cooking, slowly stir in the mushrooms.